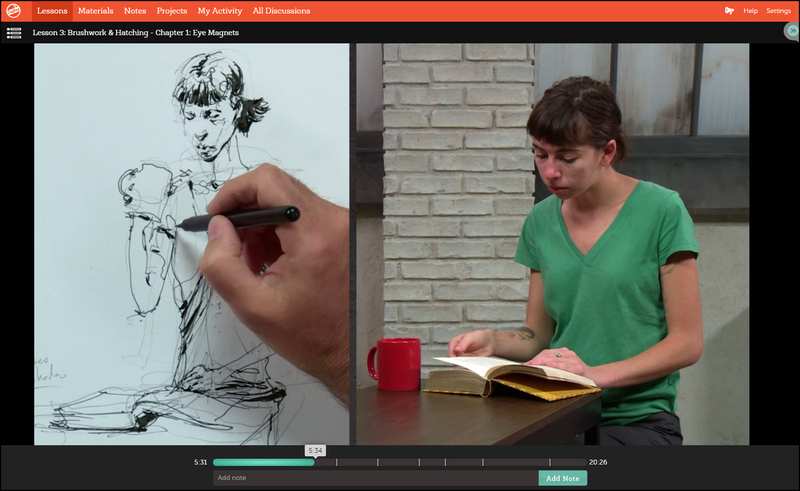 Sketching People in Motion is Now LIVE! Thanks to everyone who entered the draw for a free registration! We have three winners from 500 entries. 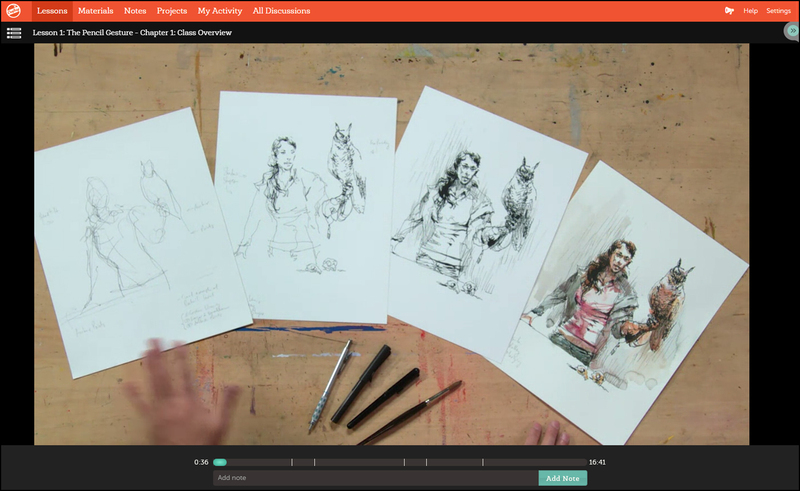 One from here, one from USK:MTL, and one from Urbansketchers.org, It’s great to see that much interest in the new course! For everyone who didn’t win – I can at least offer you a small Blog Readers Discount :) Approximately 15% off just for being a reader of Citizen Sketcher. Just click over to the new VIDEOS page, for the discounted registration link and details about the class. That is great to learn to draw it brings out your inner self. Aww, I enrolled to the class earlier today so I missed this 15%… oh well, it’s worth it. I’m enjoying the class so far. I signed up for the class today. Watched the first chapter at work, totally love the Urban Sketcher concept. But the truth of the matter is I am very new to drawing. 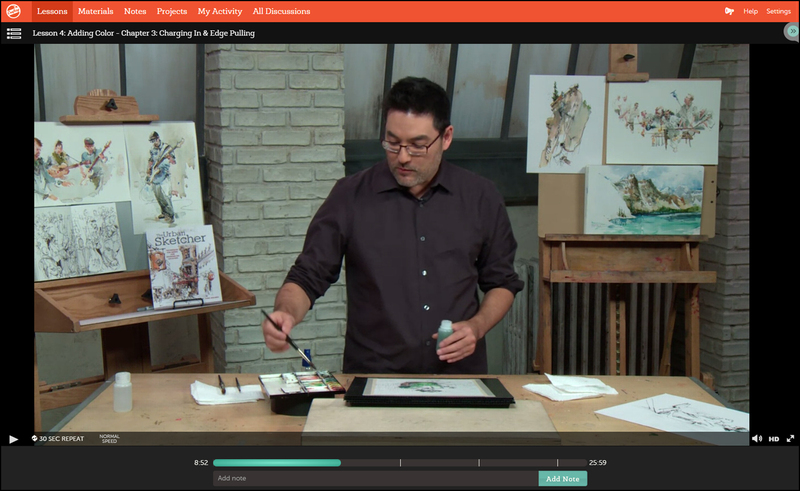 I have watched the other sketching class on Craftsy which I enjoy also. Want to become an Urban Sketcher in Los Angeles, CA. It is relaxing and one can take their mined off of the everyday madness. Because I am brand new to drawing and sketching might you have any suggestions to help me get over the nervousness. Thank you in advance. Oh by the way I have your Sketching on Location book, very interesting read. Hey Richard. Great to hear from you. (Also – very cool you can work on your drawing at work!). But here’s my #1 advice for total beginners: Reward yourself for every page you draw. Give yourself a pat on the back for every single one. Aim to fill your books. Treat yourself to something special when you finally fill up a book (I go buy a really expensive brush or something :) When you fill up five books, have a huge party! When you fill ten books, reward yourself with a trip to an out-of-town workshop! Just convert your brain to rewarding yourself for the *very act of doing drawing* – not for the quality of drawings. Just for doing ANY drawing. No matter how big or small, no matter how quick, no matter even if you don’t finish them. Just get something on a page, and cheer. One drawing = one ‘victory dance’. Never evaluate the quality of your drawings – just count them. Keep score. It’s fun to watch the pages stack up. If you can build a leaning tower of sketchbooks, you’ll suddenly find you are drawing better than you ever expected, and you’ll have had fun doing it. Thanks a lot. You respond quickly thanks for that too. Best advice I’ve gotten since started this journey. Gotta get busy! Sir thanks for your reply and encouragement. I have a few questions trying to get clarification. Can you get 2 for the price of 1 using a fountain pen with a flex nib? How does water soluble ink differ from pigment ink? 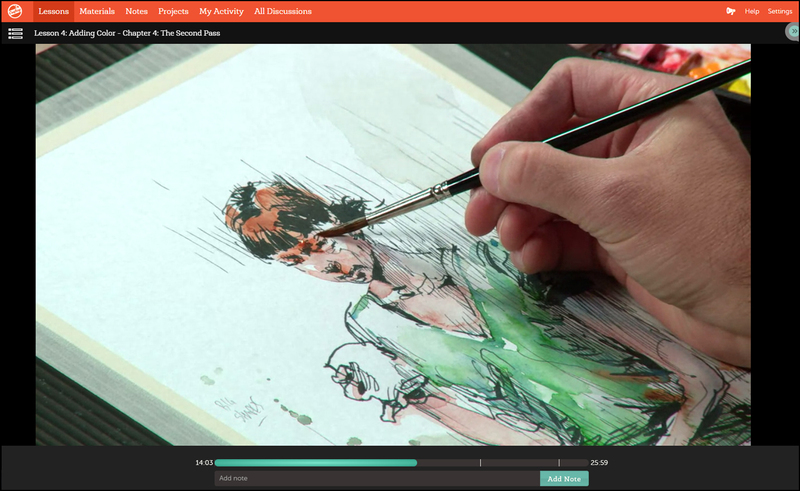 How does each interact with water colors? Water Soluble ink – well it’s a joy to use with watercolor. Because the black (or whatever you use) invades the color – you can work with some very unsophisticated pure washes, and get an old masters painting for free :) I love the effect myself. But I am a fan of grey. Last thing – re: pigment ink – pigment in paints, being nothing more than ground up rocks, is more light fast than dye – which is based on I suppose even more microscopic particles. So water soluble ink is not archival. Don’t use it to write the Magna Carta. Since I scan everything, and since sketchbook pages rarely see the light of day, I don’t worry about this downside. Boo :) sorry to hear! Forgot to mention the price for the course was great and thank you for the discount. My problems caused by my error in registering, nice lady at Craftsy helped me out right away, looks great marc.